CLAIM: A new government program gives all taxpaying Americans the right to collect ‘cash rebates’ on nearly every single purchase. WHAT’S TRUE: A decade-old tax break benefits a small minority of taxpayers who opt to deduct state and local sales taxes from their federal returns. WHAT’S FALSE: A new government program allows all taxpayers to receive “cash rebates” on nearly everything they purchase. Late on Friday, December 18, 2015, President Obama quietly signed a new 233-page Congressional act into law. After all, it was the weekend before Christmas. And most of the White House reporters had already gone home for the holidays. But buried deep inside the act, in Section 106, is a hidden bombshell … one that I believe deserves your immediate attention. We’re talking about an opportunity to collect a “cash rebate” on virtually anything you pay for during this year. All of this was highly misleading. 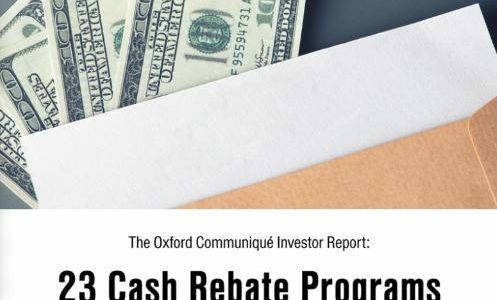 The referenced “cash rebate” program was actually a decade-old tax deduction provision that applied to a small minority of taxpayers and could not fairly be described as a program to provide consumers with “cash rebates on nearly every purchase” (at least not without stretching the definition of the word “rebate” to the breaking point. In general, the U.S. income tax code has long allowed taxpayers who itemize their federal income tax returns to deduct any state and local income taxes they pay during the year. However, some state and local governments don’t impose income taxes on residents and instead fund their operations in other ways (such as higher sales or property taxes), so those who live in such states were disadvantaged by not having a federal tax deduction to offset what they paid to keep their local government services running. To make things a little more equitable, for ten years running Congress voted in an exception every year that allowed taxpayers to choose to deduct either state and local income taxes or state and local salestaxes on their federal returns. Finally, at the end of 2015, a bill was passed by Congress and signed by President Obama making this temporary yearly provision a permanent part of the law. I expect lots of you were already fully aware of this, or blissfully unaware because it will never impact on your lives or your tax obligations, but [the “permanentization” of this tax break] is real and it has certainly made a difference for folks in no-income-tax states and a few other folks in non-typical circumstances. And it’s also been the law of the land for about ten years, and has recently been made permanent so you won’t have to be on pins and needles each Winter as you watch to see if Congress extends the break another year. And no, it is not a “rebate to 119 million Americans” … but for at least the 24 million or so households in “no income tax” states (or the ~8 million of them who itemize deductions, anyway) it could certainly make (and in all cases where they’ve been paying attention since 2004, probably already has made) a difference on their tax returns.